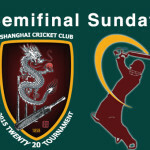 Following a spirited opening round at the Jinqiao Indoor Stadium thanks to Typhoon Chan-Hom, the semifinals are set for the SCC 2015 Twenty20 Tournament. All games are being played at SCSC on Sunday, July 19. Playing for a chance in the finals, Jolly Rogers will take on Dayne’s World at 10:30 am, and Amogh’s Armatures will face the Fabulous Freaks at 1:30 pm. Both games will be held at SCSC Near. In the consolation bracket, Ankit’s Doughnuts play 3M at 1:30 pm at SCSC Far. The annual summer SCC Twenty20 tournament has arrived. 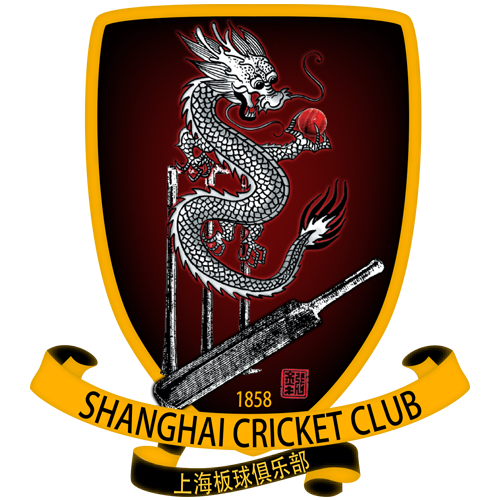 This year, the SCC put all the member clubs together to create six mixed squads across both clubs and divisions, ensuring that members get to play with those who they generally don’t team with. The tournament will last for three weeks. *Best loser will be the team who has the lowest losing margin. Losing margin is decided by wickets lost + losing margin (1 wicket loss = 10 run loss) divided by run rate. 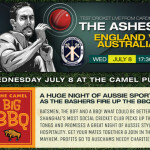 To celebrate the start of the Ashes, the Bashers are hosting a BBQ at the Camel Puxi on Wednesday, July 8 starting at 17:30. There will be live coverage of the Ashes, the finale of the State of Origin, and of course, plenty of good food!!! All clubs and club members are invited. You won’t want to miss this night out!